Need some encouragement? Get inspired with our Group fitness classes. Group fitness is a great way to stay committed, motivating yourself and others to dig deeper and push harder in workouts, providing friendships, camaraderie, competition. All while having fun and breaking a sweat. Encouraging and teaching our children the importance of proper nutrition and physical activity is essential to their overall well being. That’s why Body Goddess is committed to helping promote healthy eating and physical activity for the entire family. 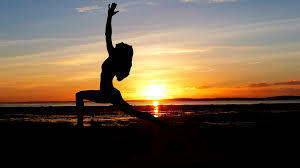 In the Yoga discipline the morning is considered a “divine time” as one’s spiritual energy is at it’s peak. Clarity, creativity, and peace of mind and body are benefits of a sunrise yoga practice due to fewer distractions prior to starting your day. To achieve optimum personal results, it is recommended to practice yoga in the morning. Sunrise yoga brings your body energy and nourishes you with a positive attitude to fully prepare for the challenges of the day ahead.